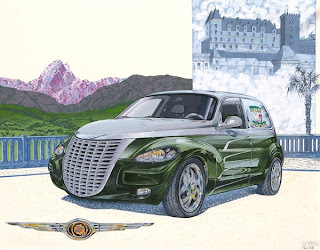 Latest classic car commission of a Chrysler PT Cruiser for a local Pizza restaurant owner who has customised his car with a lot of expensive bits. His wife has one as well. The commission was as a result of an exhibition at the Hotel de Ville in Pau.